Are you coming to Ende Gelände? It’s been almost two months since we started to built our action camp in Leermens. With hundreds of people we blocked the NAM terminal park in Farmsum. A beautiful victory – and meanwhile the fight against the fossil fuel industry continues! People in Groningen have blocked the terminal park again three times. This remains necessary: the NAM is not only causing earthquakes and climate change, they also leak toxic natural gas condensate into a neighbourhood. And while the IPCC highlighted again the urgency of the climate issue in a new report, the Dutch state lost their appeal in the higher court in the climate case. It is clear: if the government does not do it, then it is up to us to take action to stop the fossil fuel industry. With our camp and the action in August we got a lot of support from the German movement. Now it is our chance to support them. from 25 to 29 October is Ende Gelände, just across the border with Limburg. Two weeks ago, the court ruled that the clearing of the Hambacher Forrest cannot start. About 50 thousand people came together to celebrate this victory; and they demonstrated fro the end of the coal era. At this moment the German government is discussing the phase-out of coal. And the company RWE just wants to continue with the destructive lignite mining. We will not let that happen. 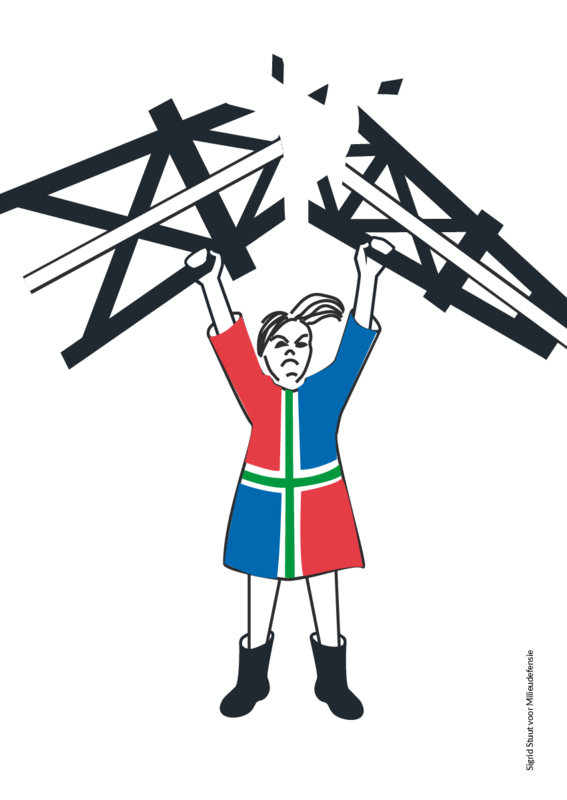 With thousands we will block the Hambach lignite mines and surrounding infrastructure with mass civil disobedience. People from all over Europe are joining forces to make this Ende Gelände a historic moment for the climate. There are 22 busses coming to the camp and even a train from Prague with stops in Leipzig, Hannover and Berlin – with over thousand seats. Code Rood is organising two busses from the Netherlands. Only a couple of spaces are free, so make sure to sign-up fast. Sign-up now for the bus to Ende Gelände! Code Rood 2018 was a big success!! the gas extraction of the NAM, by a massive civil disobedient sit-in. and we also will look forward! watch many interviews, speeches and a recording of a camp program panel. be used against you or your comrades. This can have an impact on you. on so quite so quickly. Power to you Bram and Marcel! collective stride for climate justice in the list below. the cash to do so. will block the NAM’s tanker park in Farmsum on the 28th of August! very near Leermens, at around 4 km from the train station in Loppersum. which leaves on Saturday at 11.00. Click here to follow the Code Rood channel ! An impressive program is ready for you at the camp starting Saturday. out at the camp whether that will be cooking, cleaning or whatever else. Together we are the camp! Read the program booklet for the action camp here ! a biking distance from the camp. take place at the camp. Monday will be the most important day for this. at out of this extensive collective preparation at the camp, the better. consensus is very important to us. Important: read the action consensus  and safety guidelines ! demonstrations and during a possible arrest. you have a spare bike? Consider bringing it to the camp as well. list for the action ! complete the funds for the camp we will still need around 10.000 euros. don’t have to spend so much. transfer donations to NL 55 TRIO 0338 6023 (name: Steungroep NVDA). See you on Friday at the action camp! think about how you’ll be getting to the camp and how you can help! the 31st of August, so we’re offering a return ticker for just a tenner! Going one way will only cost you 5EUR. on the 22nd and from Utrecht  on the same day. platform where you can ride share! maken moeten er een aantal sprekers van het station worden opgehaald. wel een plaatsje aanbieden op de Börse ! Code Rood camp in less than two weeks! the legal support demonstration and see how you can help! Before the action begins it’s a good idea to take note of a few things. leave from the camp to the NAM tanker park in Farmsum on Tuesday. station). Various people have been invited to speech at this square. square afterwards. The march will take about one hour. In a few days two groups are leaving to join the Code Rood CYCLE RIDE! website you will also find extensive INTERNATIONALtravel options. with whom you can hitch a ride! will be uploaded to this web page asap! weeks it’ll be your turn, Shell, Exxon and NAM! each day for a suggested price of 7,50 euros. Action camp in three weeks! The Code Red action camp starts in 19 days! All the more reason to stay well up to date. Each day more is confirmed about the program, more transport options are organized and more information about the action itself becomes available. Did you already think about how you’ll prepare, how you’ll get to the camp, and what and whom you’ll bring? Or maybe you would like help with the organization! Read on for more information about the upcoming action trainings, the camp, the transport options, and the mass civil disobedience action! Don’t forget to grab one of the last opportunities to join an action training! There are trainings still coming up in Utrecht, Delfzijl, Amsterdam (on the 18th and the 19th of August), Nijmegen and another last one at the action camp, in case you’ll have to miss the other ones. These are great opportunities for everyone to get to know others who are interested in taking part in the action, to exchange action strategies or to get more info about civil disobedience and climate justice. Sign up for an action training here! Moreover, there are two events in Amsterdam this week for those who are interested: a stickering workshop and an info picnic! More and more program components are getting confirmed for the Code Red action camp 2018! This year the camp will last seven days and it comes with a rich program! From art space to a lecture by Andreas Malm, from panel discussions to sports field, there’s something for everyone. The 25th of August is all about the problems around natural gas, locally and globally. On the 26th of August we’re talking methods, strategies, alternatives and the different ways to be active in the fight against fossil fuel industry and for climate justice. On the 27th of August we’re preparing for the action and on the 28th we’ll get started! Keep an eye on the website and the Facebook page, because the program is going to be diverse and impressive! Don’t forget to pack well as your prepare for the action! On the website you can find an overview of what to bring (and what not to bring) to the action. There’s a separate packing list for the camp. If you are coming to the camp, please also take a look at the guidelines! Mobilizing a mass, collecting all the needed materials, preparing the action, you name it. It takes a village to disrupt the gas extraction! Would you also like to contribute? You can help in many different ways! We are specifically looking for help with the following things. Performances during the blockade. In addition to speeches and discussions about the impacts of gas extraction and climate change, we would like to bring motivation, energy and joy for all the participants with a lively artistic program with for instance theatre, dance, poetry, music performances that could fit in the program. The performances that could include topics such as climate change/fossil fuel/ Groningen gas struggle/ civil disobedience/ climate justice are more than welcome.In addition, we warmly encourage every participant to bring instruments and games during the blockade and come with ideas to keep us engaged and enthusiastic. Are you interested? Contact us by email: kanak@riseup.net! Financing the action we also do together, of course, so you can always contribute by donatingan amount to NL55 TRIO 0338 6023 80 (name: Steungroep NVDA).